You may have figured out I am on Blog Hiatus right now. Between recitals, music competitions, company visiting, end of school, trip planning, and illness, I am basically taking a leave of absence, except for Wednesdays!! After reading Barb's Squidoo page, I realized this lesson will take more than 2 weeks. 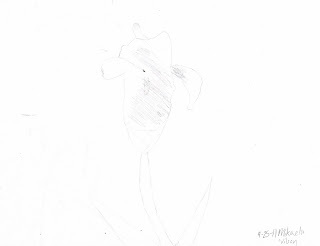 Well, that and because my kids seem to be having a hard time with the light/shading/positive space study. 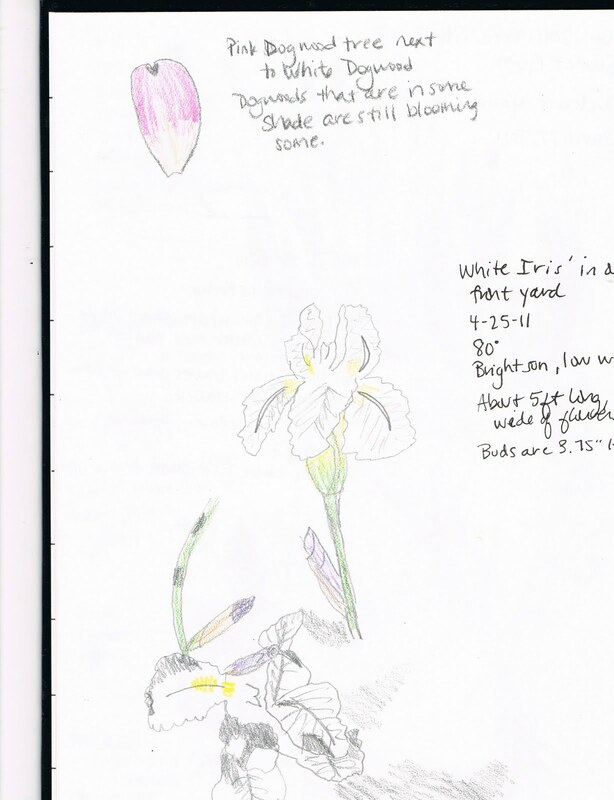 Here we are drawing our iris', practicing what direction the sun comes from. Little Man's bike he got from Nana & Poppie for his birthday. Only Kae-Kae, 13yrs and I were interested. We will practice again next week on drawing more outdoor nature things, but we have to wait for a sunny day. Sometimes that is easier said than done around here. I also plan to have us draw something other than flowers. 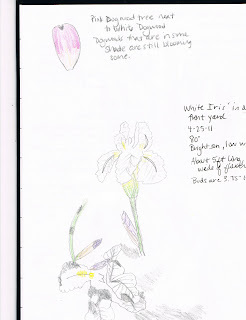 We still need to do the additional drawing exercise in our book for Lesson 4. Remember, this is a drop in Meme, so just post on your blog as you go, wherever you are on your Drawing with Children lessons. You can sign up with Linky at the bottom. Also, remember that the end of April is coming up and it is almost time to Tweet and See! Are any of you readers going to the Atlanta Curriculum Fair in less than 2 weeks? Homeschool Dawn and I will be there. Do you want to come?? Nice drawings, but I don't blame Little Man. That bike looks great, and he is such a cutie. I think I will be driving again by ATL time. If not, I have lots of local friends who are going and can hitch a ride. That's hilarious. You have no idea how many times I've set up a great sketching learning observation time, to have them find a newt, or track an otter, or see bug. Or. Feather. or. anything - and have them running off. it is when I remind myself the main goal for me has been to have them outside - observing. 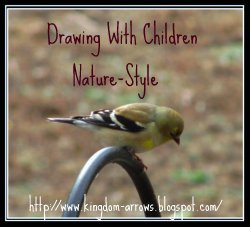 ;) I took a few photos of jon's bird sketches today - and am still working on how to organize my bird posts. I'm enjoying a new hobby though. It seems like you are making much more progress than we are...I absolutely intend to get back to our drawing lessons, it's just been hard lately to get to it. Good job! You guys have been so diligent with your drawings. You make the lessons sound like so much fun I'm considering ordering the book for us to start. Is it too late to get in on the fun with the rest of you all? Traci- Of course you can join in! 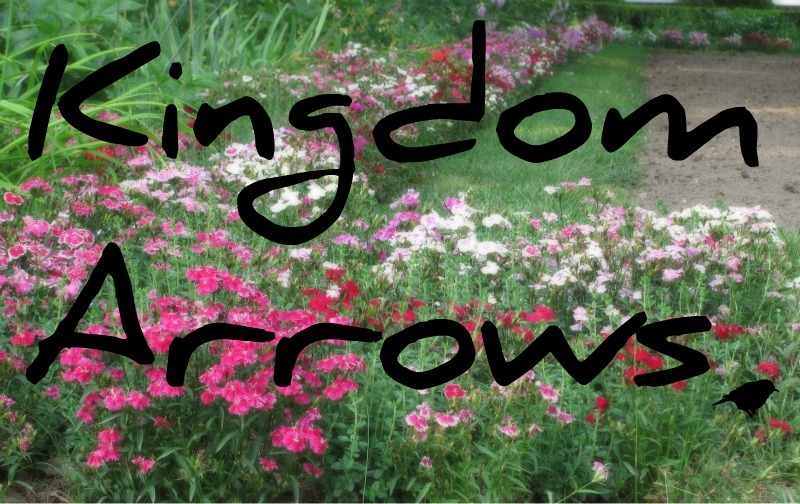 Just buy the book, their is a link on the Drawing with Childen page here on Kingdom Arrows, and get started. I know several families are participating, but are just too busy to post right now.